Yes, Your Stomach Will Stretch After Gastric Sleeve Surgery? 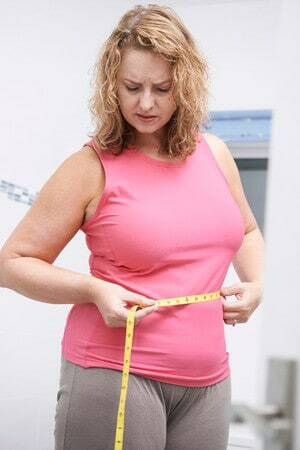 Gastric sleeve surgery is a type of bariatric surgery done for the management of morbid obesity. It involves the resection of about 70 to 85% of the stomach, leaving a 10-20% banana (sleeve) shaped portion. This is a form of a restrictive type of bariatric surgery that reduces the capacity of the stomach and also reduces the appetite due to the effects of the surgery on hunger-inducing hormone ghrelin. The aim is to bring about a reduction in food intake with the optimum goal of causing weight loss. The success of this surgery, however, relies on so many factors among which are the needs of the morbidly obese patient to have initiated a healthy diet and lifestyle modifications before the surgery and sustain it after the surgery. One of the questions that patients going for gastric sleeve often ask is “will my stomach stretches back to the preoperative stage after gastric sleeve?” this issue requires a detailed explanation before a patient goes for gastric sleeve surgery as the optimum goal of the surgery (weight loss) may not be achieved if the patient did not have a full understanding of what happens to the stomach after gastric sleeve. The answer to this question is a straightforward one. With gastric sleeve, you are expected to maintain a healthy diet that will help in your weight reduction. You are also supposed to eat a little at a time to ensure success in your targeted weight loss. Thus, if the stomach will expand back to the preoperative state or beyond, it means you will end up eating like/more than before, and you will not lose weight, or you may regain the already lost weight. Your stomach will likely stretch, following gastric sleeve procedure. Does that mean that the answer to the above question is definitely yes? Although many parameters as regards the outcome of gastric sleeve depend on the competency of the surgeon, the probability of your stomach getting stretched after the surgery ultimately rest on your shoulder. You determine whether your stomach will be stretched back to the original size or not. People who become obese don’t necessarily like food more than the ordinary citizens, but they have an imbalance between their satiety and hunger signals. This imbalance leaves the individual continually eating when, in actuality, they are full. When you eat, your stomach is stretched to a point when it sends a signal to the brain. The brain interprets this and tells you that your stomach is full and that you should stop eating. For the obese patients, this signal is blocked, so they keep eating and keep stretching their stomach. The excess they take gets converted to fat, and the cycle continues. Following gastric sleeve, your stomach takes a little food, and become stretched. This sends a signal to the brain, and you feel the sense of fullness. If you can control yourself and obey your satiety brain signal, then your stomach will remain small and will likely not stretch much. However, if you keep eating, and disobeying your brain satiety signals, then your stomach will stretch, and you will eat more and continue to gain weight. To avoid this, do not overeat. Always obey your brain signal to stop eating after a little meal. Avoid eating and drinking at the same time; it’s better to separate eating and drinking at least 60 minutes apart. You will also do yourself a great favor by avoiding carbonated drink as the gas in them can unnecessarily distend and stretch your stomach. You must remember that all bariatric surgery including gastric sleeve is just tools that support healthy dietary and lifestyle modification. Their effectiveness will be determined by your determination to maintain a healthy diet. Ready for VSG Surgery in Mexico? Get a Free Consultation Today at Pre-Qualifying. Get Started Today!